Held sacred by the Greeks, Norse, Druids, and the Native Americans, the oak tree was generally believed to possess potent magic among a wide range of cultures. In many cultures, the oak was very much associated with the sky and lighting, as it is frequently struck by lightning during thunderstorms. For this reason, it was generally held as sacred to gods of thunder or lightning, such as Zeus or Thor. It was also said to be lucky, and to impart magical wisdom to those who embraced it or carved a piece of oak into a magical wand. 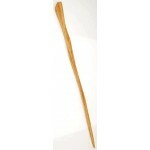 Within these traditions, each of these oak wands is a wonderful addition to your spellcasting. Use it to channel energy and craft magic when you are seeking inspiration, wisdom, or are otherwise seeking the energized power associated with lightning and the sky. 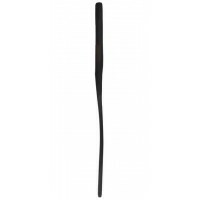 Each wand measures approximately 14 inches in length and has been only lightly finished so as to leave the beautiful, original grain of the wood fully visible. As each wand is a unique creation, please allow for slight variances in size, shape and color. Item Number: AA-RWPOA14 | Approximate Size (Inches): 0.25 wide x 0.25 deep x 14.00 high | Approximate Shipping Weight: 1.00 lbs.